LITTLE ROCK—A silk road trade simulation, an economics poetry slam, and field trips to local entrepreneurs were among the projects that netted cash awards and statewide recognition for nine Arkansas educators. They received $1,000 and an inscribed glass plaque each in recognition of excellence in economic teaching during the 18th Bessie B. Moore Awards luncheon at the Great Hall of the Clinton Presidential Center on Nov. 7. Another long-time educator was presented with the lifetime achievement award and an annual gift in his honor. Keynote speaker Wes Kemp, retired president and CEO for ABF Freight Systems Inc., congratulated the winners and emphasized the importance of economic and personal finance education in the K-12 classroom. He cautioned against the unsustainability of unchecked fiscal spending, but expressed hope that if today’s school children developed a clear grasp of economics, they would know how to reverse that course in the future. Also honored was Stanley K. Wells, retired principal of Woods Elementary School, Fort Smith District, with the Lifetime Achievement Award. Wells was recognized for almost 40 years of teaching economics, including more than 20 years as a Master Economics Teacher (MET). The MET program is a choice initiative by Economics Arkansas to enable select economics teachers to become “resource extenders” for the organization. Wells was part of the 16 inaugural METs in 1992. To honor his legacy, Ray and Debra Hobbs of Rogers, Ark., committed to a $10,000 annual gift specifically to benefit the MET program. The Stanley K. Wells Fund will be used to ensure the continuity and excellence of the program. Ray Hobbs is the president and CEO of Daisy Outdoor Products and the 2013 chair for Economics Arkansas. Debra Hobbs currently serves as a state representative for Arkansas. More than 140 guests attended the awards luncheon, including Tom Kimbrell, commissioner of the Arkansas Department of Education; Jay Bradford, commissioner of the Arkansas Insurance Department and EA board member; State Representative Debra Hobbs; State Senators and EA board members Bruce Maloch and Johnny Key; Dr. David Rankin, president of Southern Arkansas University; Robert Hopkins, regional executive for the Little Rock branch of the Federal Reserve Bank of St. Louis and EA board member, and many EA board members, superintendents, school administrators and teacher from across the state. 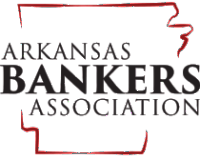 The 2013 gala luncheon was sponsored by the Arkansas Bankers Association, the Arkansas Department of Education, Daisy Outdoor Products, Arkansas Farm Bureau Insurance, Bean Hamilton Corporate Benefits, Farmers Bank & Trust Magnolia, Jim and Renee Wooten, Munro & Co., Arkansas Association of Educational Administrators, Friday Eldredge & Clark, Horatio State Bank, Thomas & Thomas LLP, and UALR. Economics Arkansas launched the Bessie B. Moore Awards program in 1995 to honor exemplary teachers for successfully integrating economic principles into the classroom. The contest is open to educators K-12 from public and independent schools in Arkansas. To enter, teachers submit written descriptions of their projects, which are reviewed and judged by an independent panel of economic education specialists. The winners receive cash awards and plaques. Up to 12 awards are presented each year, six in a Newcomers division and another six in the Veterans category. The deadline to enter is typically in early to mid-July. More information is available here. Note to media: Photos of winners are available upon request.